We’ve been talking alot about date nights (and date days ) in our HWC community recently and there’s a reason for that. Dating your spouse isn’t just great for staying connected and taking time out for yourselves, it sets your friendship on fire! HWC Contributor, Carlie Kercheval -whose post on free and frugal ways to celebrate your anniversary is among our most popular article…ever- is back to share a nifty little trick to make date nights affordable. 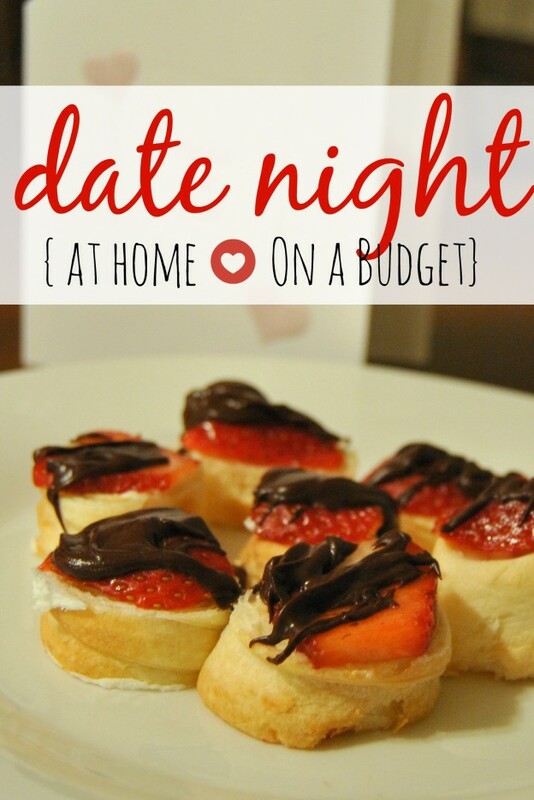 Do you have a date night fund? We didn’t always have one, but after our first two years of marriage, we decided it was a necessary tool to keep our marriage thriving. I would encourage you to start one today if you haven’t already. Being a single income family with three children - we are careful to make every penny count. Well, guess what? 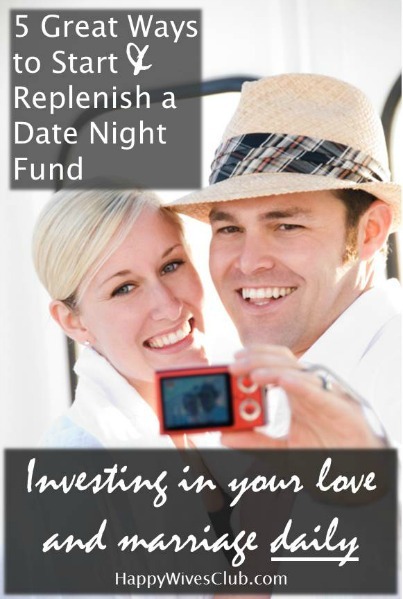 I am going to share 5 ways my husband and I keep our date night fund afloat. 1. Every month choose one thing to cut back on. For instance, many people I know buy coffee at fancy coffee shops. Nothing wrong with it, but what if you decided NOT to do that for one whole month and save the difference? Bingo! You’d have money in your date night fund! No need to carry it over to each month (unless you want to). But one this is for sure, this will help you see more areas of excess that are robbing you of your precious date nights! 2. If you shop online, use Ebates. This has been our #1 source of date night funds for the last 5 years! Basically you sign up and find your favorite online retailers on the Ebates website. You will click on the Ebates link and start earning cash back for your purchases. Best. Site. Ever. Because you can save so much money already by buying online, this sweetens the pot. Go to the Ebates site and check it out! 3. Only buy what you need. Sounds simple enough, right? Well I can tell you this: I find most people don’t follow this rule. They tend to buy a lot of “little” things or things simply because they are on sale - but if you resist the urge to buy into the consumers trap - you will see a large increase in your monthly bank account. This will mean different things for different people, so figure out the ways you can make this happen in your particular situation. 4. Use coupons whenever possible and save the difference on one or more of your trips. For instance, we’ll go for a weekly shopping trip, use our coupons and how ever much we save, we’ll put that into the date night fund. To save time I use FREE sites like CouponMom.com that give you coupons and deals by area including weekly store sales at many retailers. 5. Dedicate a percentage of your monthly income to your date night fund. Even if you can only afford to save 1% of your income each month, it will add up. Nothing is too small. Start where you are at and work with what you have. Date night is so important in your marriage, so be sure to invest what you are able to keep it going! 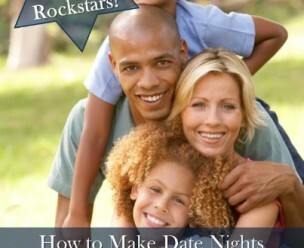 I pray this list can help inspire you to start your very own date night fund. And if you already have one, I hope it sparks new ideas to keep it going. Be sure to check out my last post for more ideas: 25 Free & Frugal Ways To Celebrate Your Anniversary (can be used for creative date nights too!). After reading these, there is no way you won’t be inspired to get out on a date with your man! Enjoy!